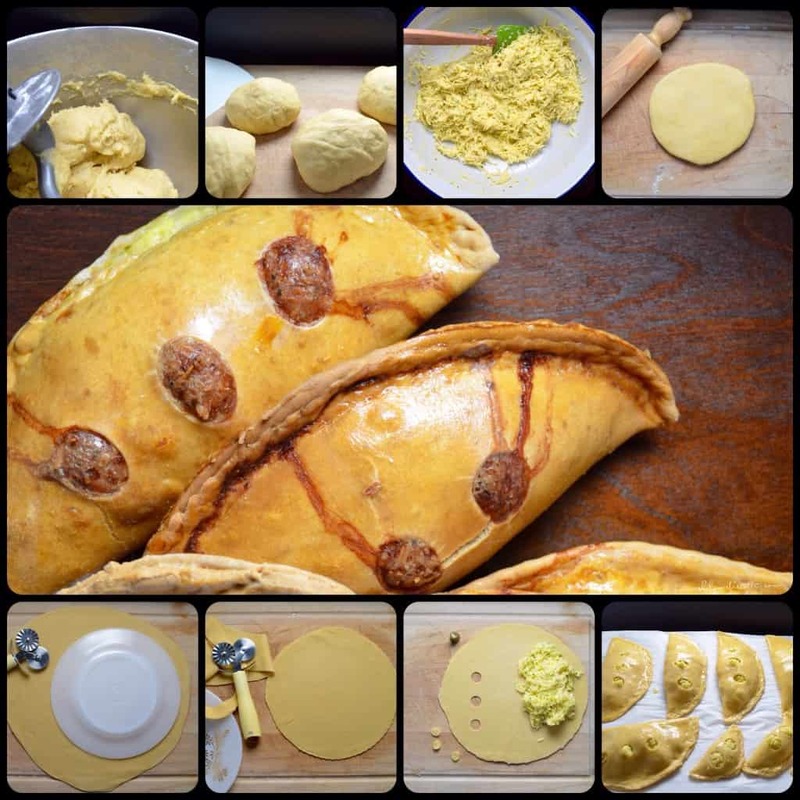 Italian Savoury Easter Cheese Pie, also known as fiadone di formaggio, is a rustic combination of eggs and cheese enveloped in a very firm dough. The combination of cheese and eggs is truly a wonderful thing. And I guess that if you were living in rural Italy, many, many decades ago, you found ways of making some very creative dishes, like these savoury fiadoni. The dough is a little bit difficult to roll out, but it has the all-important job of containing a cheese and egg mixture and so the whole combination just works. The cheeses I’ve used are a combination of Caciotta, Parmigiano–Reggiano, and Romano (Salerno). There’s just a slight bite. When I was a kid, this was one of the main Easter dishes. I can still remember all the preparations, led by my Mom and Grandmother, in the week before Easter. Would you believe me if I told you that my family would make between 25-30 savoury cheese pies, and just as many for the sweet ricotta pies? We all contributed to making the fiadoni… one of my jobs was to make the little steam vents in the dough with my grandmother’s thimble. There was so much excitement and fussing during special holidays. Of course, there was all the food preparation, but that was just the excuse to get together with family and friends and to have a good time. Once again, this is a regional dish from Italy. As I have previously mentioned, my dad’s mother was born in Ripabottoni, in the province of Campobasso, in the Italian region of Molise. 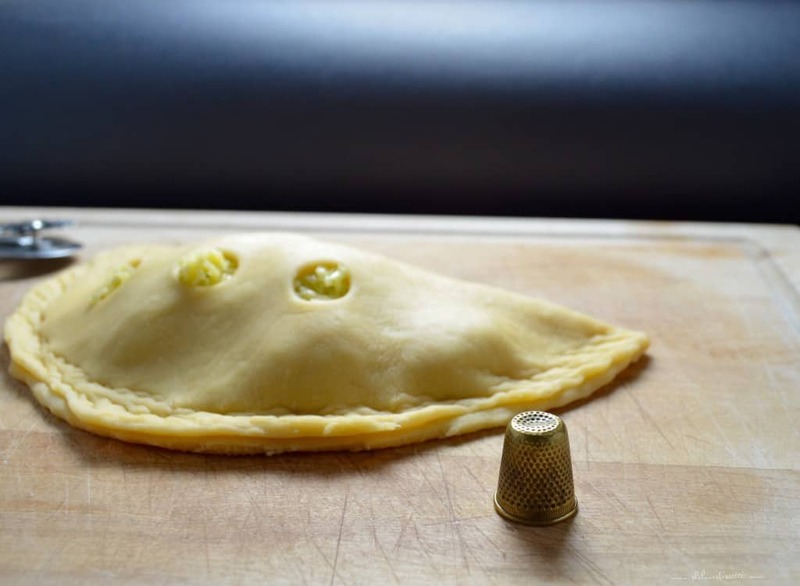 The exact realization of the Italian Savoury Easter Cheese Pie will be different in other regions – for example, some families will include sausage and/or ham in their pies. I guess you can say that my family would make a vegetarian version of these rustic fiadoni. Have you ever tried this Italian Savoury Easter Cheese Pie? Enjoy!!! In a large mixing bowl (of stand mixer), with whisk attachment, beat the eggs with the oil and salt for about 1 minute. Add about a third of the flour and whisk for 1-2 minutes. Switch to dough hook and add the rest of the flour. "Knead" dough for about 8-10 minutes. Alternately, you can knead by hand. Place dough on slightly floured wooden board. Wrap each quarter in plastic wrap. Let dough rest for at least half an hour. Meanwhile,you can grate the cheeses. Grate all the cheeses, set aside. Whisk the eggs until frothy (about 1 minute). Whisk in the finely chopped parsley. Manually add mixture to grated cheeses and gently combine with wooden spoon. Place one ball of dough on a slightly floured wooden board. With the help of a rolling pin, start stretching out your dough to a circular shape about 1/8- 3/16" thick. (I usually roll it out to a 12 inch circle). Cover and seal with a fork or with the end of your pastry cutter. Make sure you have a tight seal. Repeat. (I usually use the leftover dough to smaller cheese pies or combine them to make a fifth or sixth fiadone). Place in preheated oven at 350 ° F for about 20 minutes. Lower heat to 325 ° F and continue baking for 30-40 minutes until golden and puffy looking. Depending on your oven, you might want to place a sheet of aluminum paper loosely over the loaves, to prevent them from over browning. Fiadone can be refrigerated(used within one week) or frozen for up to 3 months. Total yield is about 6 pies. Each pie can yield 15-16 slices. My parents too came from provincia di Campobasso: my dad’s family was/is from Castrpignano and my mother’s family was/is from Castropignano and Roccaspromonte. Thanks so much for posting this recipe! I didn’t think I would find an English recipe for fiadone! My mom used to make the savoury, sweet and sometimes put sausage in it. My favourite was the sweet. Have you ever heard of “pastiera”? My mom used to use the crust for fiadone but the filling was a sweet rice and milk mixture (almost like a flan). Thanks so much Liana. I’m happy to “virtually” meet you. Yes, sometimes my paternal grandmother would put sausage in it. Oh, I love pastiera… my mom’s rice ricotta Easter pie is one of my favourites. Recipe can be found in the index. Wishing you and your loved ones a Happy Easter. Ciao. 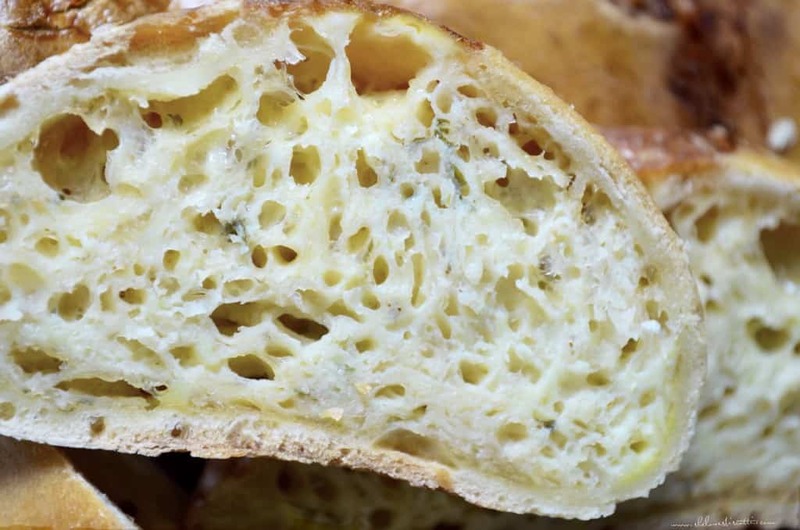 What type of cheese is caciotta most comparable to? I’ve definitely never seen it in our local stores, even specialty stores. Hope to hear back. Grazie mile. Hi Alexa, it’s a semi-soft cheese. Although I have never tried, I would think that replacing it with another similar type of cheese should provide excellent results. One reader recently shared her experience by substituting with Friulano cheese. Hi Julie! Nice to « meet » you! I think I would love the addition of lemon. Wishing you and your loved ones a Buona Pasqua! I just found your website and I love all your recipes. Thank you so much .!!!! Thanks so much for your kind words Sally. I’ve asked around and no one provided me with a definite replacement. I don’t feel comfortable suggestion something I haven’t tested out for myself. Perhaps a reader can provide suggestions. Hi there, my in-laws were from Casacalenda & Provvidenti & fiadone was part of their Easter traditions too. Since I started to make them a few years ago I use friulano cheese with the Parmesan & Romano cheeses & it’s a big hit. Friulano is easy to find in grocery stores. We like it very sharp so I decreased the Parmesan & increase the Romano. Thanks so much for sharing this information. I will definitely give this cheese combination a try. My Grandmother used to make something like these , but they were sweet not savory. They also were made from ricotta but I don’t think there was any other cheese in them. I would love to have that recipe if you have one. Yes I do have the recipe… just click on this link: Sweet Ricotta Easter Pie. Enjoy! My reply was for fiorina not Janice, sorry. Fiorina please read my reply to Janice. Thanks! 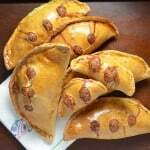 My grandmother (from Chieti,Abruzzo,)made these with a sweet lemon dough. The combination of the savory cheese and the sweet dough was delicious! My other grandmother (from Teramo, Abruzzo) made a ricotta pie with a rich ricotta, egg and milk filling flavored with fresh lemon. It was open faced with a lattice top crust. Always put a small piece of palm sticking out of the middle to bless the pie. Thanks for sharing these recipes! My pleasure Janice. 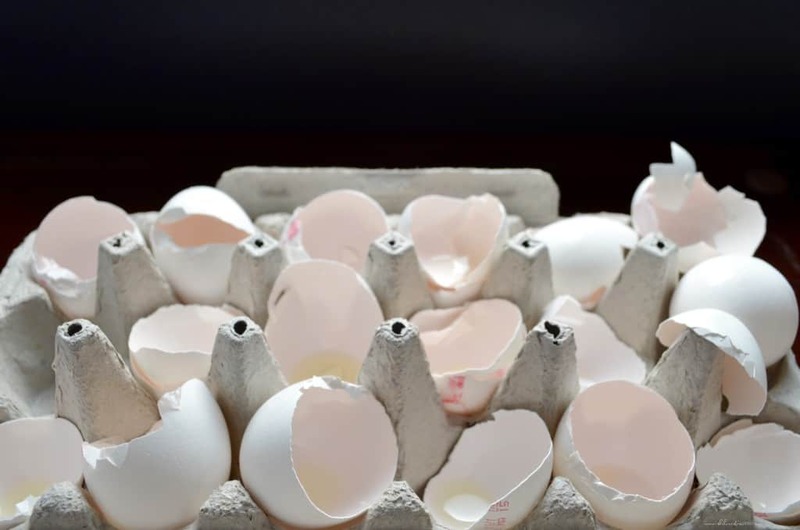 So many wonderful Easter traditions… love them all. Thanks for sharing! My Nonna did as well; she called them Fiadone, if you’re still in search of something😊 she also made this savoury one, which is what I was in search for. Can’t wait to try it out! My husbands family from Agnone makes a similar recipie every Easter. Great Grandma made them in a large round bowl shape with a hole in the top for the cheese to come out the top. My husbands Grandmother changed it up a bit, and now we make it like a regular pie with a lattice top. Anyway it is made it is a yummy Easter tradition. Thanks Eileen. Yes, I agree. So many wonderful traditions. Thanks for stopping by. Well, Wow! 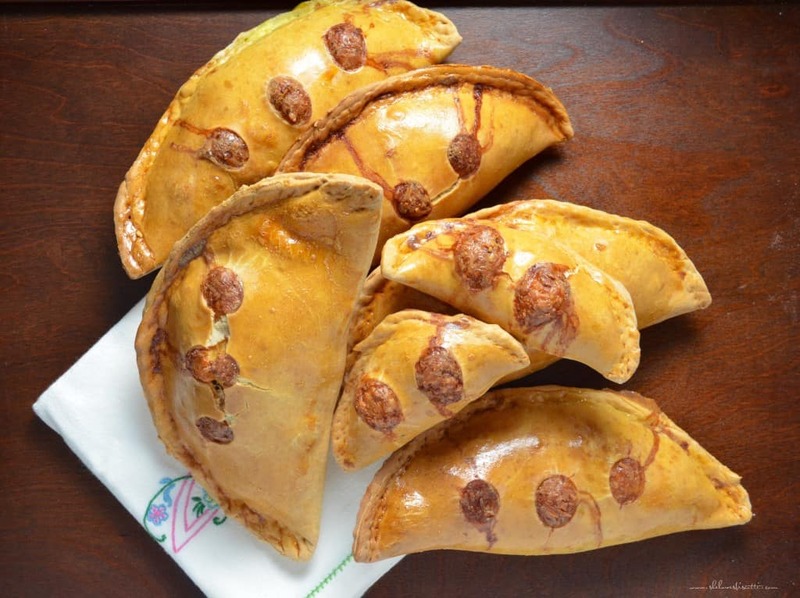 My parents came from Guardiareggia in Campobasso( it was part of Abruzzi then) way back in the late thirties and a smaller version of these cheese pies were part of every Easter in my growing up years. Now I am making them from my Mum, my Dad and our daughter’s recipe. Our daughter watched Mum making them for a whole Sunday afternoon and wrote down what she observed…. not quite the same recipe as I had, but hey, are they ever good! My grandmother’s family was from Ripabottoni and made these pies her entire 97 year life, I never got her recipe but found this one to carry on the Easter tradition, this will be the second year we make these from this recipe. They are best if they ‘age’ about a week, this give the cheese time to age and this year we will add more pepper, then they are best with a beer! Does any body have a good substitution for the Caciotta cheese? I have not found a place to buy this. That would make sense as this would probably affect the moisture. Great comment John, thank you! Unfortunately, I have never tried replacing the Caciotta cheese… hoping someone can offer a suggestion. Thanks so much Barb! That is very generous of you. I love how you have all of your family recipes and keeping the traditions alive. Making these today for the first time. Used to make them with my mom every Easter. So happy to find this recipe with measurements. My mother has passed and her recipe is not as accurate as yours. As we get older we want to keep the traditions. My huband who is not Italian loves them and kept telling me to go buy them at Italian bakery and I am telling him you cannot find them because they are only from our region of Italy. I bought a pasta machine to make them , that is how my mother used to make the dough. Hope they turn out and your picture is exactly how my mom’s looked. Thanks for the recipe. My pleasure Mary ♥ I agree with you… traditions are so important. 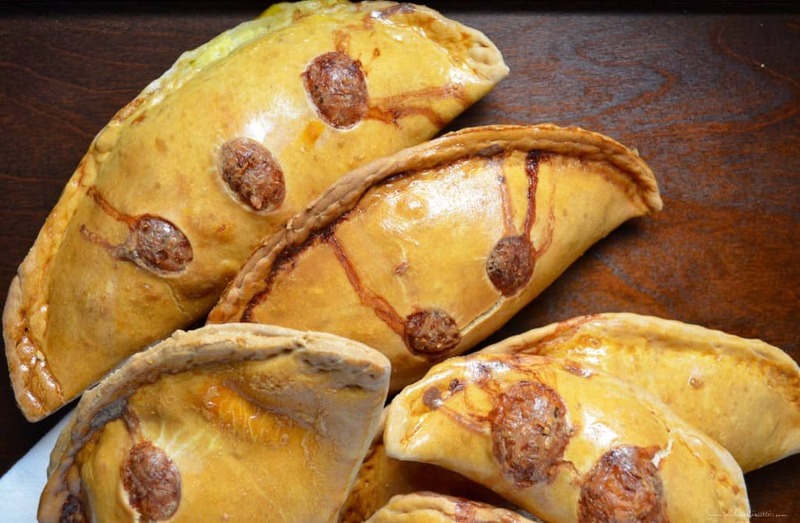 These savory fiadone are truly a regional specialty and as you say, not available in bakeries. I hope they turn out as you remember them. Buona Pasqua to you and your family! So I made them today and waited for them to cool and had to tast right away. The taste was good but some rose to high and the had an empty cavity. I made small ones and used my pasta machine. I did not have a timble and used a melon scooper for the holes. I think the holes were to big.I wonder if this is the reason why. And my mother used to big a bit of baking powder in the cheese mixture, but I didn’t. Do you know why they would puff up so much? This has happened to me in the past… To be honest, I always thought it was related to the moisture in the cheeses and taking them out of the oven before they were fully baked. I don’t think it is related to size of the holes as those are important for the steam to escape. The temperature of the ovens can also play a part… I’ve never heard of adding baking powder…that is interesting. Thanks so much for taking the time to comment Mary. I am so overjoyed to find this recipe as mom has passed on and I never got the recipe from her. We used to make them at Easter. She would make pasta dough and run it through the pasta machine until thin enough and then fill with eggs and cheese and bake them but I was young and did not write anything down so I am very appreciative for this recipe. My grandparents were from the same region. We called them “Shudoons”. I still make them today. My family is from Villa San Michele, Isernia. My Nonna makes “la chattone”, large square with meat inside. Thanks for posting, Maria. I will use your recipe and add some cacciatore for Pasqua! Very similar to those that we make. We’ve visited Ripabottoni many times. My husband’s father was born there. Love love love fiodoni !!!! My dad was from Ripabottoni!